As the Director of the Villanova Sentencing Workshop and former Chair of the Pennsylvania Commission on Sentencing, Steve Chanenson brings an innovative approach to the study of sentencing and criminal law. He teaches courses on sentencing, white-collar crime, criminal law and criminal procedure at Villanova. Professor Chanenson writes primarily in the areas of sentencing and criminal procedure with his works having been published in such journals as the Stanford Law Review, Emory Law Journal, Waseda Proceedings of Comparative Law, and Yale Law Journal Pocket Part. His scholarship and work on criminal sentencing, in particular, have gained him national recognition. 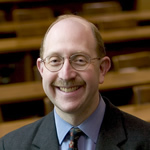 Professor Chanenson has frequently spoken on sentencing before groups of judges, lawyers, and policy makers, including the U.S. Sentencing Commission, the Pennsylvania Conference of State Trial Judges, the annual Judicial Conference for the U.S. Court of Appeals for the Ninth Circuit, and the Federal Judicial Center. He has been quoted on the subject by numerous media outlets, including The New York Times, The Washington Post, and The Chicago Tribune. Professor Chanenson was a Member of the Pennsylvania Commission on Sentencing for almost 14 years, having been appointed by three successive Governors of Pennsylvania. He was the elected Chair of the Commission from 2012 to 2015, the former Chair of the Commission’s Research Committee, and chaired the advisory committee for the Commission’s legislatively directed study of mandatory minimum sentences as well as its Strategic Planning Work Group. Appointed by the Supreme Court of Pennsylvania, Professor Chanenson also served on a committee that advised the Supreme Court on criminal justice reforms, including bail reform, for the First Judicial District (Philadelphia) criminal courts. An elected member of the American Law Institute, Professor Chanenson is the Liaison from the National Association of Sentencing Commissions to the American Law Institute regarding efforts to revise the sentencing portions of the Model Penal Code. In addition, he is a Managing Editor of and frequent contributor to the Federal Sentencing Reporter (University of California Press/Vera Institute of Justice), the leading professional journal of brief commentary on sentencing law, theory, and reform. Professor Chanenson was a Fulbright Distinguished Lecturer in Law during the 2008-09 academic year, teaching American law at Xiamen University School of Law in Xiamen, Fujian Province, People’s Republic of China. During his time abroad, he spoke on sentencing issues in several other cities in mainland China as well as in Hong Kong, the Republic of Korea, and Australia. Professor Chanenson has been recognized for his dedication to public service. On behalf of the Harry S. Truman Scholarship Foundation, Justice Clarence Thomas presented him with the Judge Joseph Stevens Award for Outstanding Public Service in the Field of Law in a June 2005 ceremony at the United States Supreme Court. He was previously named a Truman Scholar in 1986 in recognition of his commitment to public service. For much of the past decade, Professor Chanenson has been active in the Truman Scholar selection process, serving on both the Finalist Selection Committee and regional Selection Panels. A graduate of the University of Pennsylvania (B.A. in economics and M.S. in criminology), Professor Chanenson received his J.D. from the University of Chicago Law School, where he was a Comment Editor of the University of Chicago Law Review. He began his career as a clerk to the Honorable Phyllis A. Kravitch of the United States Court of Appeals for the Eleventh Circuit. He later clerked for the Honorable William J. Brennan, Jr. of the Supreme Court of the United States. While at the Supreme Court, Professor Chanenson also served in the Chambers of the Honorable David H. Souter. As a litigation associate at Jenner & Block in Chicago, he helped defend, on a pro bono basis, a client charged with murder in state court. Professor Chanenson also served as an Assistant U.S. Attorney assigned to the Criminal Division in Chicago before joining the Villanova Law faculty. Professor Chanenson was previously on the Board of Directors of JEVS Human Services, a non-profit, nonsectarian social service agency with a multi-million dollar annual budget. JEVS provides a broad range of services – from health and rehabilitation to skills training and job placement – that help people from all walks of life across the Greater Philadelphia community achieve their personal and employment goals.